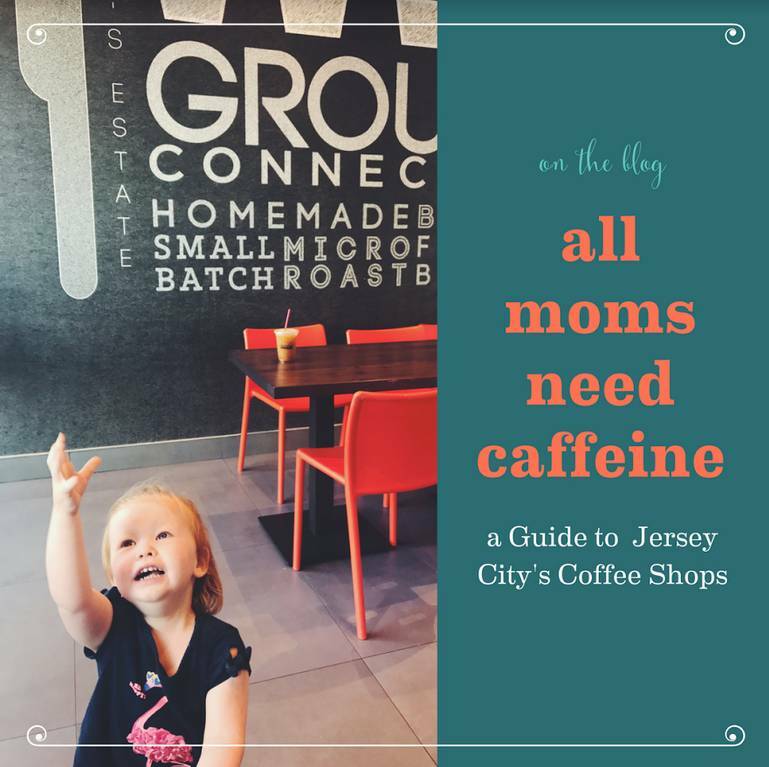 A guide to Jersey City Coffee Shops from a mom's perspective. What to expect when you show up with a stroller, menu highlights... everything but the wifi password! I’ll admit it. I’ve got an addiction. I need caffeine to get through a full day of keeping up with a toddler! Finding a great local coffee shop in Jersey City has not been as easy as I expected. There are a lot of options, yes, but not all are the right fit for my #Momlife! 1. 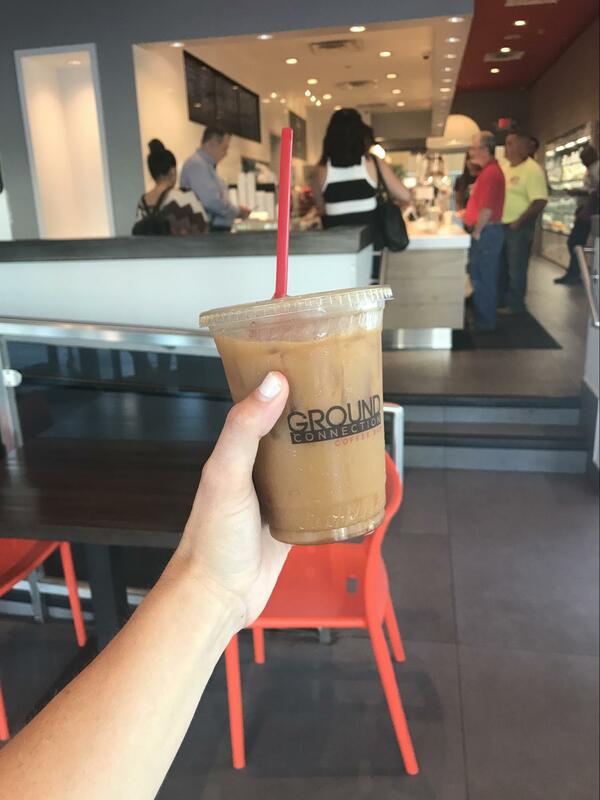 Ground Connection - The skinny: Great indoor/outdoor space, stroller-friendly, try the cold brew. Multiple cold brews on tap in yummy flavors. Perfect for my new obsession. There is actual physical space to move around in here. They provide both indoor and outdoor seating. Bring your dog, bring all your kids, and let them be kids without having to yell at them to watch their elbows. ZERO hassle with the stroller - there is a ramp to get in and out of this place! Also - big bathrooms! Can I get an AMEN!? 2. Brewshot - The skinny: Friendly employees, stroller-friendly, try the unique pastries. Brewshot is the only coffee shop where I actually know the employees by name. Every employee there has been friendly & chatty with both me and my little one. Fittingly, local moms dubbed this spot their home base for a weekly new mommy meet-up. It’s held casually on Wednesdays at 11am. They’ve got a stroller-friendly ramp and Casper, the manager, wants all mommy’s to know they just ordered a changing table for the bathrooms. (Thanks Casper - we appreciate you!) There’s reliable wifi and big tables you can spread out on. I really dig this place. 3. sam a.m. -The skinny: Great neighborhood vibe, not stroller-friendly, try everything... but specifically the coffee and biscuits. I live just three blocks from this spot and it still took me six months to find it. This breakfast gem is hidden on a picturesque, quiet, residential street. I walked up with my toddler to find another mom and her toddler relaxing on the steps out front. Normally, I would have cringed at the thought of lugging my stroller up the steep and rocky steps, but I was able to leave it outside and feel totally comfortable letting Lolli climb up herself. If your baby isn’t walking yet, wrap them in your carrier to visit this one. The vibe is awesome. It’s the type of place that makes you love Jersey City, and feel a pride deep in your bones. They brew their own coffee, and it’s delicious. Try the nutella latte with almond milk on a weekday when they aren’t crowded. Sit in the adorable rocking chair outside and take in the scenery! This might be my heart’s personal favorite, it’s not quite as practical - but the ambience and coffee quality has me craving a visit weekly. 4. Smith & Chang -The skinny: Your go-to after Hamilton Park, stroller-friendly, try the chai latte. Located right off of Hamilton Park, the location of Smith & Chang is fantastic. They’ve got big wooden tables you can take over easily, and plenty of room for a stroller! Yes and Yes. A friend and I were able to fit my stroller and her big-wheels car in as the kids played without any issue. Smith & Chang also brews, my personal favorite, La Colombe coffee. This coffee shop even satisfies my need for retail therapy... They've got an adorable selection of houseware/gift items curated by Kannibal, and gorgeous artwork for sale. This place really stacks up to have everything moms need. 5. The Grind - The skinny: Off the beaten path, semi-stroller-friendly, try the draft latte or black & tan. 6. Bucket & Bay - The skinny: Ice cream and coffee collision, not-very-stroller-friendly, try the affogato. Bucket and Bay hosts new moms Meet-ups on Tuesdays at 10am, where they offer a 20% discount for attendees. While mama gets a dose of caffeine, the kids can enjoy the amazing organic ice cream. A great option for that first time sugary ice-cream bite! Bucket & Bay is all over dessert menus in Jersey City, and once you try the ice cream yourself - you’ll see why. This is my spot when I’m having a “treat-yourself” kind of day - I’ll go with an affogato or cold brew float! Sadly, it’s a straight up pain to get to this place with a stroller. There is a roundabout way to go up a ramp, but be prepared to shimmy through their kitchen space to utilize the stroller-friendly exit. 7. Lackawanna Coffee Company - The skinny: Cool vibe, not stroller-friendly, try a macadamia milk latte. 8. 9 Bar - The skinny: Heart of downtown, not stroller-friendly, try any of the amazing freshly baked goods. I was so excited to go here because the location is great in the heart of downtown. I even chose to go on a day when I had a babysitter because I knew it was a rather small space for the stroller. But then I walked in and found out this: NO WIFI. No WiFi? Half the reason anyone goes to coffee shops is for the WiFi. I’m sorry, but I don’t buy the sign that says the lack of wifi should encourage people to talk. Despite this, the cafe puts a great emphasis on their fresh and unique food items. So check it out when you've got someone else watching the kids and you're eating carbs. UPDATE: 9 Bar has a new location in the Urby building that I have not yet ventured to... has anyone checked it out?! 9. Dames - Cash Only? I haven’t been, because… cash only. Toddlers rip up dollar bills and coins are a choking hazard, so my life runs solely on plastic. Caffeine is a necessity as a new mom. When you're on maternity leave, or home with the baby, that artisan cup of coffee can be a very well-deserved treat. But not all coffee shops are truly mom-friendly. I hope this guide makes it easier for you stroller-bound mamas. Or, at least, inspires you to check out a new spot! Have a different opinion? Did I miss your favorite coffee shop? Tell us in the comments! Coffee=life for me, can't wait to try some of these places. Love that you're supporting local businesses! Can't wait to try these places, thanks for writing. Cool that Hazel has this new blog. Super helpful list, thanks! My young family is new to the area and it's always helpful some honest and genuine feedback on where to go. So much better than Yelp! Thanks for writing and keep it coming! Ahhhh, another transplant yuppy brat who thinks they know JC by describing a tiny section of JC. This woman should really live in Hoboken. love that you included stroller friendly info, as that's always a surprise when trying new places. I find keeping a bike lock is handy - as most places don't have a ramp or room for parking. I also think it's polite to park outside, so others can enjoy the space as well. This person doesn't know anything about coffee or Jersey City. Please move to Hoboken. Don't make a guide about Jersey City and then only include places from downtown. Not having cash isn't a good excuse for not trying Dames. Small businesses can get raked with fees for allowing debit/credit cards. I lived in JC for 12 years and Dames was my go-to spot, with kids, as they had the best coffee downtown, IMO. Missing ModCup? Definitely need to add that. You missed modcup - if you've never been to one of their spots you definitely should. The palisade spot is small and not easy to bring a stroller into on the weekends... but if you're at the farmers market you can pop over and grab a coffee to drink on the outdoor benches, or in the park across the street (can't beat that skyline view). That being said, the Senate location is much bigger and stroller friendly, it's also where their roasting facility is. As a side note... the coffee at bucket and bay is actually modcup coffee.. and im pretty sure they supply the coffee to sam am, as well. All the guys there are really friendly, I highly recommend checking them out! Father's need coffee as well. I am a little disappointed to not see Jersey City's own Modcup on the list. I use their monthly delivery service and it has yet to fail me. When our family heads over to the farmer's market I also enjoy getting a fresh cup. Come on up to JC Heights next time you do a coffee shop crawl (pun intended)! Very stroller friendly: ChocOPain on Palisade, Dulce De Leche on Central, and The Cliff on Congress. Semi friendly (but with back patio) Congress Station on Congress. And best coffee in the city (in my opinion) ModCup on Palisade, not really stroller friendly but across the street from Riverview-Fisk playground. ModCup also has a more stroller friendly spot on Senate Place next to Mana Contemporary.